Dexter is a Showtime original drama series that tracks the life of Dexter Morgan, a character adapted from the 2004 Jeff Lindsay novel Dexter Dreaming Darkly. Lindsay has continued the book series, while the Dexter portrayed on television has evolved in a separate timeline. Running for eight seasons, Dexter deals with a strange and uncomfortable scenario; the titular character is a serial killer. Rather than tracking down innocent victims, Dexter Morgan uses his job as a blood spatter analyst with the fictional Miami Metro Police Department to track and kill criminals that the justice system has failed to capture or punish. Over the course of the series, he hunts other serial killers as well as gang members and drug dealers responsible for innocent deaths. However, he is not portrayed as a superhero. Morgan's own emotions and twisted interpersonal relationships cause him to make interesting decisions at many junctures in the show. Dexter was adopted by a police officer named Harry after he was found crying in a pool of his own mother's blood when he was just a toddler. This experience led Dexter to develop what he refers to throughout the series as a Dark Passenger, otherwise described as a deep-seated need to kill. Should he try not to hunt or kill for a period of time, his sleep becomes disrupted and his temper becomes quite short. On the other side of Dexter lies his softer emotions. In the beginning of the series, Dexter narrates that he has always felt cold and doesn't think he is capable of love. This is challenged when he becomes attached to a woman named Rita, accidentally starts a family with her and then goes on to marry her. Dexter also feels great affection for his sister, Deb, who is a police office for Miami Metro. Although she is the biological child of Harry and is not related to Dexter through blood, his loyalty to her is obvious and prolonged throughout the series. As the story progresses, Deb finds out about Dexter's activities. Rather than chasing down criminals on a whim, Dexter selects his victims using a code taught to him by Harry. Harry, as a police officer, knew Dexter had murderous tendencies as a child and taught him the code to both keep Dexter out of prison and to teach Dexter an acceptable way to select victims. Even after Harry died, Dexter kept to the code. Dexter's code is comprised of two simple rules. The first rule is to never get caught, as this would lead to imprisonment and, possibly, the death penalty. The second rule is to never kill an innocent. Dexter frequently references his code while making decisions about whom to kill and when. If he is conflicted about specific circumstances, Harry will sometimes appear to him in spirit form or flashbacks and help guide him through his thought process. Episode 12 - Remember the Monsters? In the series finale, Dexter is faced with impossible odds. With a hurricane looming in Miami, Dexter decides to take matters into his own hands. Dexter is faced with a major dilemma. Dexter recruits Dr. Vogel to help him lure the Brain Surgeon to a location in order to get him on the table. Later, Dexter witnesses the murder of an important person in his life. Dexter investigates a murder that seems all-too familiar. Meanwhile, Vogel is shocked when someone from her past shows up. Episode 8 - Are We There Yet? Dexter believes his protégé murdered an innocent person. Meanwhile, Dexter tries to help Hannah escape. Dexter searches for Hannah to determine why she is back in Miami. He also takes on a protégé and begins educating him about the Code. Dexter could possibly use a psychopath as a candidate for his work. Meanwhile, Debra and he get back to basics before being interrupted. Dr. Vogel comes contacts the Brain Surgeon, and Dexter and Debra attempt to preserve her safety. Meanwhile, Masuka learns that he has a daughter. Episode 3 - What's Eating Dexter Morgan? Dexter continues his search for the Brain Surgeon. Dr. Vogel tries to prove his point to Dexter. Debra suffers from a PTSD episode and she makes a desperate plea to confess to LaGuerta's murder. Miami Metro searches for the Brain Surgeon, while Dr. Vogel recruits Dexter to do her bidding. Debra continues to investigate her PI case and takes matters into her own hands. In the eighth season premiere, Dexter is still managing life as a dad, brother, and serial killer. Debra is working as a PI for a private firm and Batista assumed Debra's old position. Meanwhile, Miami Metro investigates the murder of a man who has had pieces of his brain removed. Episode 12 - Surprise, Motherf**ker! The season 7 finale finds LaGuerta working to reveal Dexter's true identity while protecting himself and the life he has now. Episode 11 - Do You See What I See? Christmas is just around the corner, and Debra gets a gift from Hannah's father that could incriminate Dexter in a crime. Meanwhile, Dexter discovers that the man responsible for his mother's death has been released from prison. Dexter is watchful when Hannah's father pays him a surprise visit; the Phantom Arsonist's crimes become more vicious. Meanwhile, LaGuerta seeks help from a former superior on the Bay Harbor Butcher case. 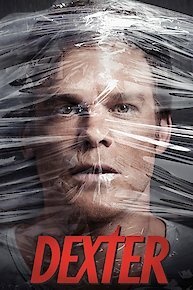 As Dexter struggles to locate Isaak, drama among the Koshka Brotherhood erupts, which could be to Dexter's advantage. Meanwhile, Miami Dade tries to smoke out the Phantom Arsonist. Isaak is hot in his pursuit of Dexter now that he's been released from jail. Dexter tries to keep Debra in the dark about his relationship with Hannah, but his plans are ruined. Dexter and Hannah's relationship heats up, which peaks the interest of crime-beat writer Sal Price. Meanwhile, Quinn's actions to protect his girlfriend are questionable. Debra becomes acquainted with a local crime writer who has discovered incriminating dirt on Hannah McKay. Quinn gets an offer he tries to refuse and Batista is attracted to a new business opportunity. LaGuerta keeps digging into the Bay Harbor Butcher case. While investigating the murder of someone on his boat, Dexter tries to say one step ahead of Isaak. Although a dangerous killer is behind bars, Debra is sent into a tailspin as Miami Metro is hit with chaos. In an effort to help his sister, Dexter engages in a dangerous game with the Ukrainian mob. Dexter attempts to convince Debra to help him with his new target. LaGuerta, claims the Bay Harbor Butcher is still out there, and tries to get Batista to re-open the case. Miami Metro acts on claims from a local convict who swears to have evidence regarding a 15-year-old crime spree. Debra attempts to cure Dexter of his killer tendencies. Episode 1 - Are You....? In the seventh season premiere, Debra struggles to reconnect with Dexter while attempting to conceal their involvement in the murder. LaGuerta discovers evidence that causes her to question the closed Bay Harbor Butcher case. Did the "Dexter" star dislike the ending to the show as much as we all did? A teenager accused of murder claims he was inspired by the hit Showtime show. What's New Tonight: Sunday, June 30th. What's new tonight? "True Blood", "The Killing", "Dexter", and more! The network confirms that season 8 will be the last for "Dexter," but cushions the blow with some sneak preview footage! Dexter's plans to get Deb on his side are derailed when he has to deal with the threat of Isaac. With Deb still in disapproval over Dexter's lifestyle, Dexter attempts to sway her using Ray Speltzer as the vehicle for his plan. As Dexter continues his "rehab," he starts getting more and more wound up. Will he finally snap, or can Deb keep him under control when he starts stalking a new target? Upon discovering his secret, Deb attempts to rehabilitate Dexter rather than turn him in to the authorities. But will her efforts work? And how will Dexter deal with Louis if he can't kill him? The seventh season begins with Deb and Dexter facing each other down in the church. What does Dexter say to get out of this one? Does Deb learn the truth? Find out here. Holy cow. You want some intel on "Dexter" season 7? This behind the scenes video has tons of new footage that sheds a lot of light on how things are going to go this fall. Dexter is currently available to watch and stream on Showtime. You can also buy, rent Dexter on demand at Showtime, Amazon Prime, Netflix, Amazon, Hulu, Vudu, FuboTV, Sling, FandangoNow, Google Play, DIRECTV NOW, iTunes, Showtime Anytime online.